Soccer is one of the world’s favorite sports, appealing to a wide range of age groups. 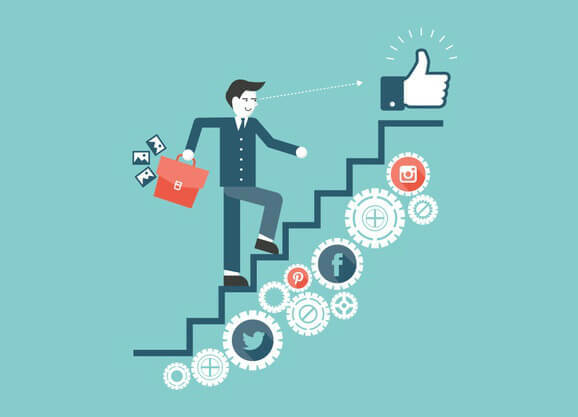 It’s a great channel for marketing your brand. As such, with the 2018 FIFA World Cup just over, Snapcart decided to take a quick look at the behavior of soccer fans in four countries: Brazil, Indonesia, Singapore and the Philippines. 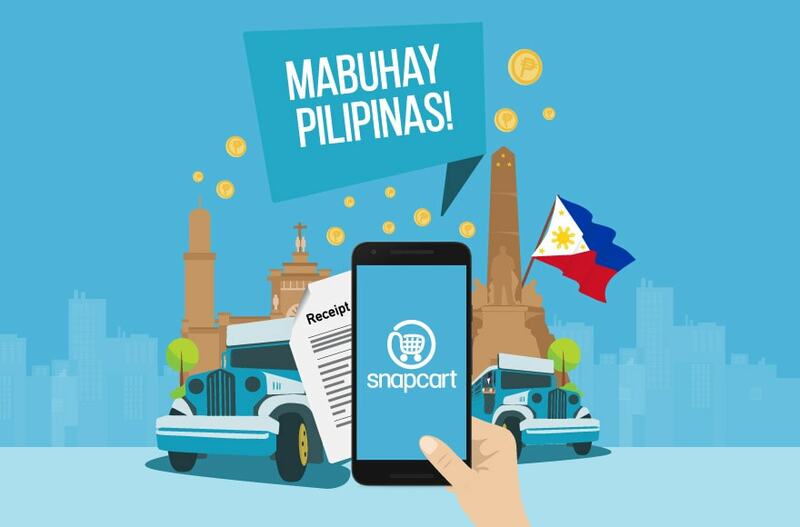 Using Snapcart’s mobile app capability, we conducted a quick survey of more than 22,400 respondents from these four countries, covering all income classes, gender and ages. Let’s take a quick look at their behavior. 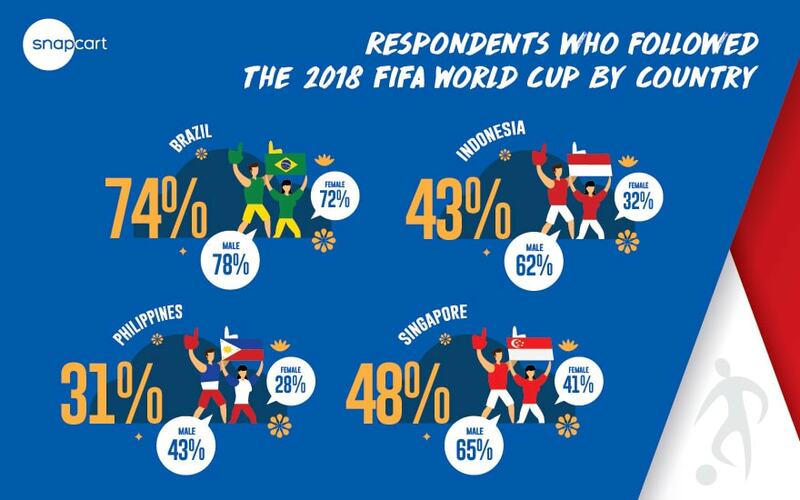 No surprise, soccer-mad Brazilians showed the most interest in the 2018 FIFA World Cup, while basketball loving Filipinos scored lowest at just 31% and both Indonesia and Singapore falling in between. It was interesting that “only” 43% of Indonesians said they were following the event, given that soccer is the country’s most popular sport. In all countries, respondents preferred to watch matches at home on TV, suggesting that TV continues to be a highly effective medium for advertising during this time. Brazilian’s second preference was to watch matches on TV at work, which makes sense as most of the matches were held during their working hours. Whereas Indonesians’ second favorite medium was to watch TV in public areas as many matches were aired outside of working hours; supporting this preference, it’s very common in Indonesia to find restaurants, café, or even shopping malls airing the matches on TV. 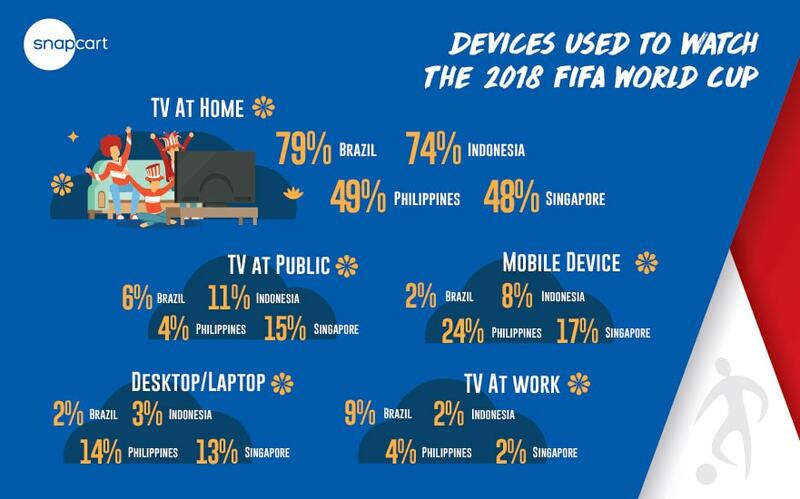 Unexpectedly, many Filipinos preferred to watch 2018 FIFA World Cup matches using mobile devices other than laptops. Whereas in Indonesia, few people watched on their mobile devices despite an extremely high rate of mobile device (smartphone) ownership in urban areas. Chips and soccer go together! 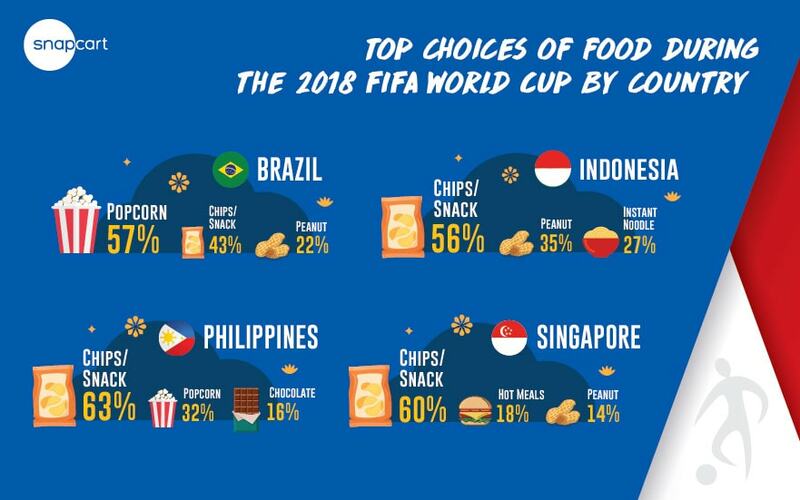 In a survey of food consumed during World Cup matches, chips were the clear winter, coming in first in the Southeast Asian countries surveyed and second in Brazil. 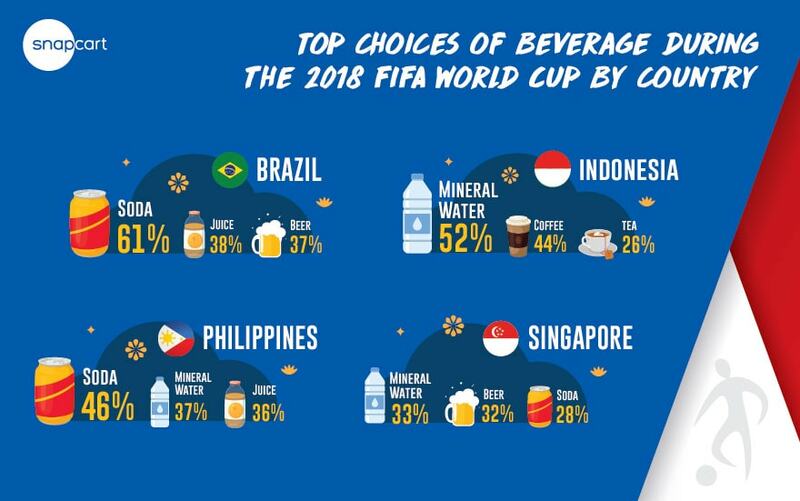 For beverages, soda and mineral water came out as top choices during matches. 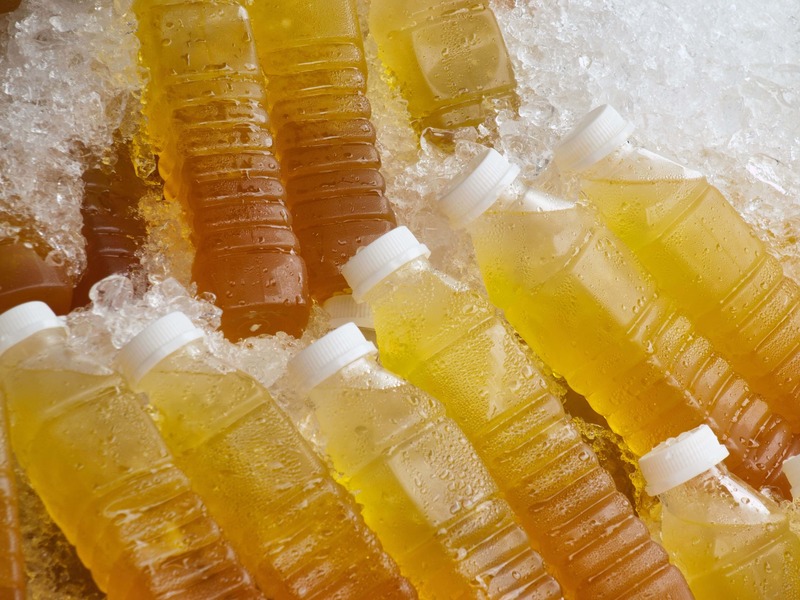 Soda was the beverage of choice in Brazil and the Philippines, while mineral water won out in Indonesia and Singapore. However, in Singapore, beer ran a very close second. 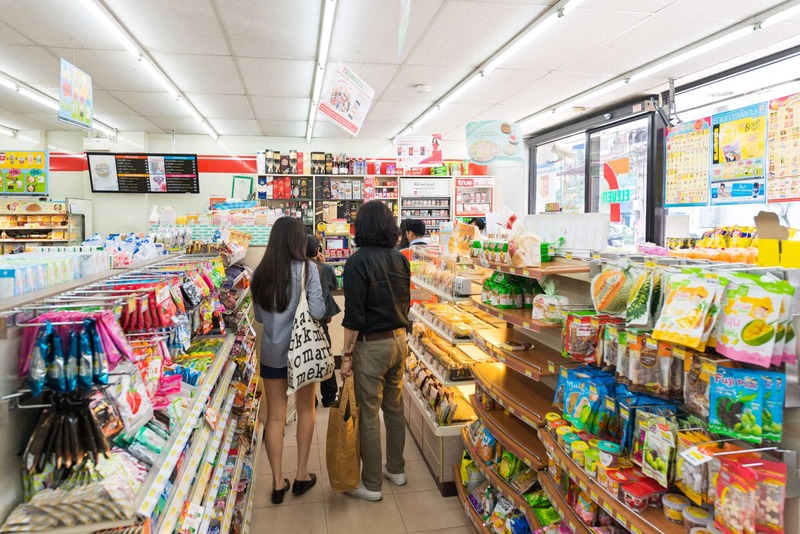 Besides asking what kind of snacks and beverages respondents prepared when watching World Cup matches, we also asked what other items they prepared. They were given a choice of merchandise (hats, T-shirts, etc. ), medicine, cigarettes, or none of the above. Of those who did prepare something, most countries preferred merchandise, but Indonesians showed a clear preference for cigarettes. Who wished they could have watched the World Cup in the stadium and have official merchandise? Finally, we asked respondents on a scale of 1 (don’t care) to 5 (love to), how much they wanted to watch the 2018 FIFA World Cup in the stadium. Surprisingly, the number of respondents from Brazil and the Philippines who said they would love to was nearly tied at 64% and 63% respectively, despite soccer being more popular in Brazil. Indonesians also showed high levels of enthusiasm, with more than half (54%) saying they would love to watch live in the stadium. With regard to owning official merchandise, over 55% of respondents in Brazil, Indonesia and the Philippines said they would love to own World Cup official merchandise, but only the Brazilians (49%) actually prepared merchandise such as T-shirts or hats in preparation to watch matches, possibly because the Brazil National Team played and most of the respondents presumably wanted to support their team. 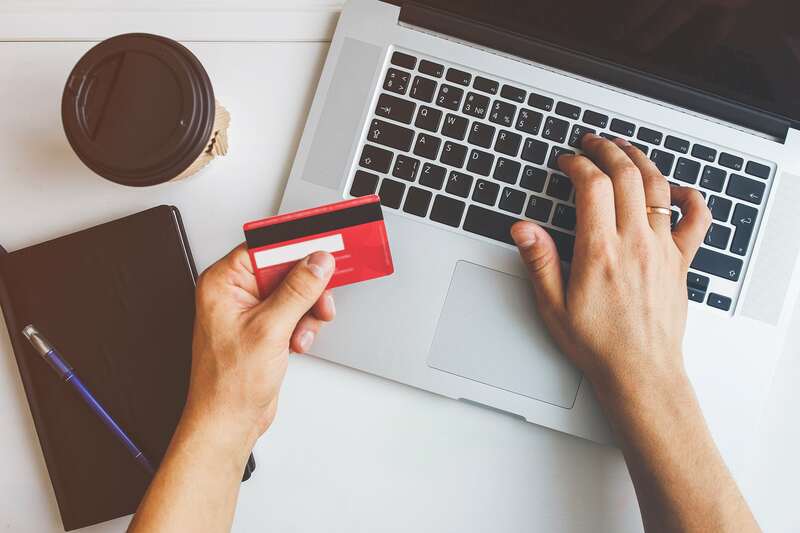 The gap in behavior between wanting and actually preparing merchandise number suggests that providing World Cup tickets or official World Cup merchandise for consumer could have been an interesting initiative for companies. Overall, this data casts valuable information on the offline behavior patterns and preferences for soccer fans in each country, which can be effectively used by marketers to position their campaigns for optimum effect. 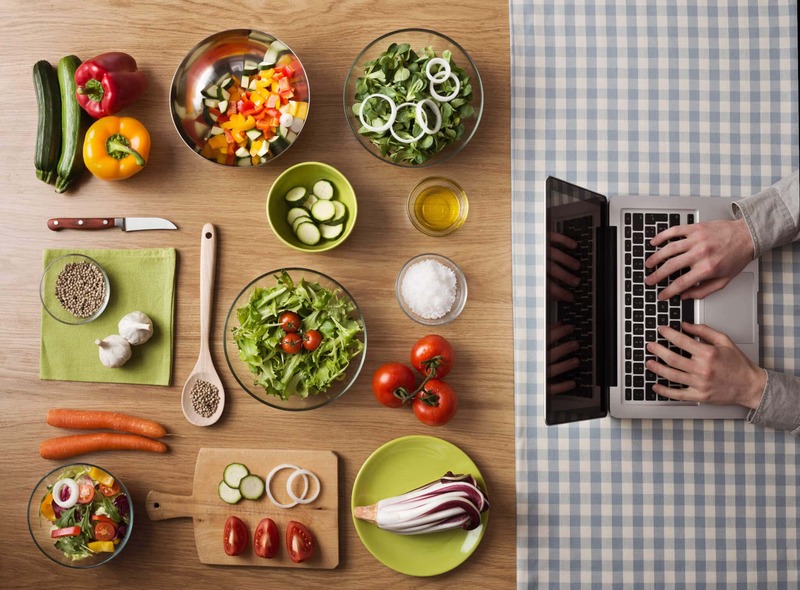 If you’re interested in finding out what we can do for you in more depth, please drop us an email at marcomm@snapcart.global.